The rear access ladder, made of aluminum, can be fixed to the vehicle without drilling and thereby avoiding any damage to the bodywork. 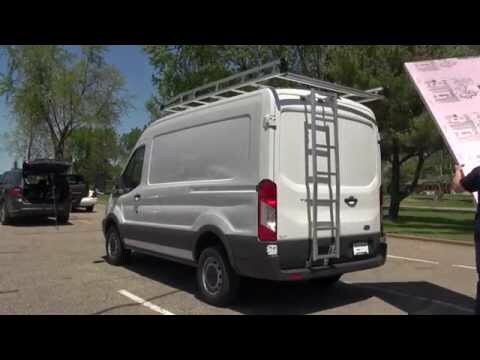 Additionally, this ladder can be re-used on the next vehicle of the same type. Reduces injuries from climbing on wheel or bumper to access cargo. † Not available for 2006 and older Sprinters.